I use evidence based theories in order to provide you research-proven guidance. Cognitive-Behavioral Therapy with a focus on Acceptance and Commitment Therapy uses acceptance and mindfulness strategies mixed in different ways with commitment and behavior change strategies to increase psychological flexibility. The objective is not elimination of difficult feelings, rather it is to be present with what life brings us and to move toward valued behavior. Mindfulness can increase awareness, clarity, and acceptance of life experiences. Using mindfulness for breathing, body sensations and daily activities, we learn to pay attention to our thoughts and feelings, become aware, and more accepting. This results in less distress, increased functioning and the ability to enjoy life. 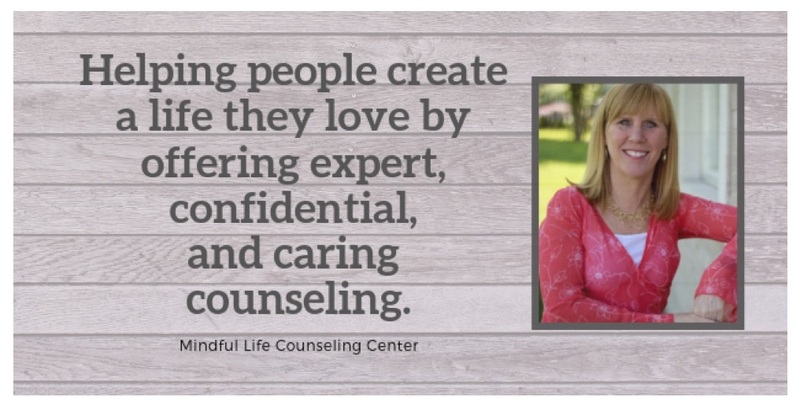 I have been working with children, adolescents, adults, and their families for over 25 years. I first worked as a Licensed Dietician and enjoyed working with people using a holistic approach to nutrition where the whole person, including lifestyle is important. Over time, I found my attention was more and more on the psychological needs of the people I worked with and began to pursue an educational and career course where I specialized in counseling. My professional status is a mental health professional, although my experience in dietetics certainly helps in working with people struggling with an eating disorder. My overall focus is working with people who are overcoming psychological difficulties in life. I am currently a Licensed Clinical Professional Counselor. My passion is helping people explore concerns, identify goals and achieve solutions. Prevention and mental health in the community have been key areas in my professional development. Prior to private practice psychotherapy and counseling, I led a multidisciplinary staff in the administration and delivery of an intensive mental health program for families. In addition, I coordinated a mental health promotion and education program where I had the opportunity to work in multiple school districts. Before that, my extensive experience with managing mentoring programs allowed me to genuinely understand what barriers families are facing. I have advanced training in treating eating disorders. Disordered eating is a complex issue involving human development, family systems, stress, exercise, nutrition, society norms, and culture. I value mindfulness and believe in an intuitive approach to eating. In addition, I’m also trained to treat a variety of other disorders.